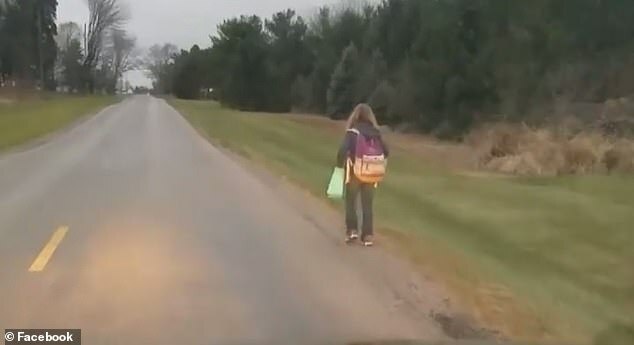 An Ohio father punished his daughter by making her walk five miles to school in 36 degrees after she was thrown off the bus for bullying. Matt Cox of Swanton said in a Facebook post that his 10-year-old daughter was suspended from the school bus last Friday. This was the second time that she had gotten into trouble for bullying. The young girl told her father that he would have to drive her to school for an entire week. ‘I realized she viewed the privilege of riding the bus and or car rides to and from school as a right and not a privilege,’ Cox told WEWS-TV. 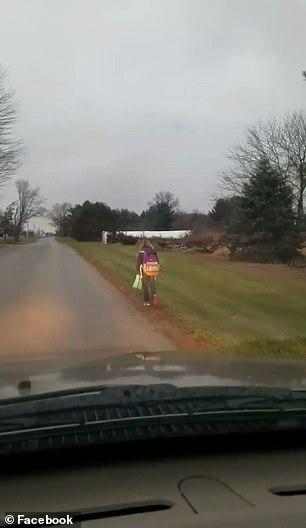 Instead, Cox had his daughter walk to school. 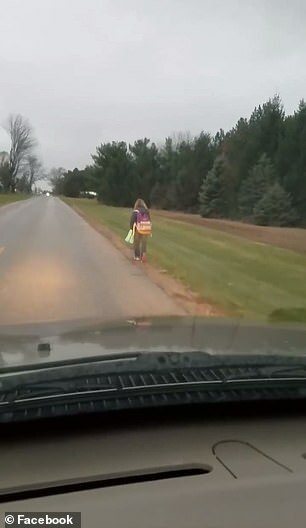 He drove slowly behind his daughter and recorded her walking on his cell phone. The video quickly went viral, having been viewed and shared hundreds of thousands of times. It shows Cox talking to his daughter about how her actions led to her being punished. His daughter understood that her bullying was the reason she was forced to walk, Cox said. ‘I know a lot of you parents are not going to agree with this and that's alright,’ Cox said in the video. 'Parents need to hold their kids accountable. That was me showing how I hold my kid accountable,' Cox told WTVG-TV. THat was also child abuse! 10 years old?! That was over the top. THere is such a thing as the parents being STUPID, too!One mile walk, ok. But 5 miles in freezing weather! NO!